This is a first for our series – “Limbo”, a film made almost two decades ago. It is not a “classic” in the normal sense, rather, one that was underappreciated upon release. 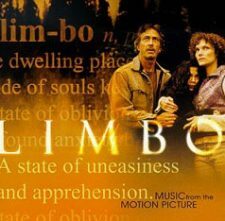 Written and directed by John Sayles (“The Secret of Roan Inish”), Limbo tells the story of people trying to reinvent themselves in the Southwestern islands of Alaska. The story revolves around Joe Gastineau, a fisherman traumatized by an accident at sea years before, a singer Donna de Angelo and her disaffected daughter Noelle. When Joe’s fast-talking half-brother Bobby returns to town and asks Joe for a favor, their lives are changed forever. This is an adventure story, filled with suspense and ending with a question mark. Excellent performances by entire cast (including a cameo appearance by Kris Kristofferson). 1. Vinny’s Ristorante is offering 10% off your entire food bill when you show your punch card or ticket. This offer is available every Tuesday during the Film Series. 2. Coho Restaurant: Make a reservation between 5:00 and 5:45 and get dinner for two for $70 including a bottle of wine! Each person receives soup, salad, choice between two entrees, and homemade ice cream or sorbet. (Other entrees available at slightly higher price.) Remember, orders must be placed prior to 5:45.
hmmm. I don’t know where it is, or how much $ to bring. Thank you Lynn for pointing out that missing information. We have updated the posting with that info.